Less than two years since the successful campaign to save Hove Library and plans are in motion from the Labour council to remove many of its bookshelves and instal an office on the ground floor. While these changes may appear to be minor, after the alterations, only three of the original bays of ground floor bookshelves will remain – a move that many are concerned could jeopardise the library’s future. Yet again, Labour has shown they don’t understand the value of our library. The campaign to save Hove Library – again – in 2016 should have left Labour in no doubt over its importance to the local community. Over 4,500 people signed our petition calling on Labour to halt plans to sell it off. Residents have made it abundantly clear that they cherish the service and the Carnegie building. Take one look inside and it’s easy to see why. It was purpose-built as a library and established so that generations to come could experience the gift of reading. 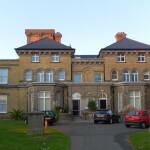 The law is clear that local councils must “warrant every effort being made to preserve” grade II listed buildings and the architectural features they possess. 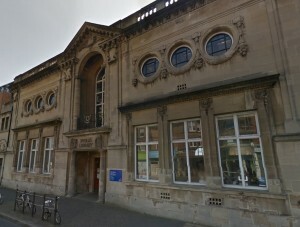 But the Labour council’s plans could threaten the library’s capacity and compromise the very design, including the “radiating bays”, which grant the building its grade II listed status from Historic England. Is it more than a coincidence that having tried to close Hove library in 2016, we now have these potentially damaging changes coming forward from the same administration? 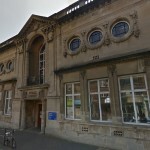 Rather than treating the community which uses the library as an inconvenience, the Labour council should be placing them at the very heart of decision-making about its future. It’s clear to see the lifeline it offers – keeping our older residents active, helping people back to work and inspiring a love of reading in the very young – designed for and used by the community. We have already seen the city’s precious heritage suffer under Labour’s leadership, with graffiti consuming our conservation areas, precious downland almost flogged off and the historic Pavilion Gardens put on the “at risk” register. We cannot let Hove Library suffer the same fate. Councillor Phélim Mac Cafferty is convenor of the Green group on Brighton and Hove City Council. The library COULD also be used as a centre for addressing the 20% illiteracy rate in our society in a non-school environment which many adults might find more congenial. We live in an era that sees universities having to teach first year students how to write essays, spell and even construct a sentence. Clean writing, good grammar and spelling in national and local news are not even reliable THERE. Libraries are about BOOKS and LITERACY. Let’s see a return to that focus. This country surely needs it. Euthanasia for the retarded Labour ! Macaf criticising the Soviet labourites is a case of pot calling kettle black. Both are a shower of leftie clowns. Bring back a sensible tory administration. I watched the webcast of the planning committee last week when this was discussed, as was a planning application affecting another listed building. Hypocrisy is the politest way to describe the contrasting way the council has handled the two cases. The interior of Hove Library forms part of what led to it being listed, and the proposed changes seem like sulky vandalism from the councillors who tried closing it.